Ants, birds, biting insects, blackfly, cabbage caterpillars, cats, cows, crickets, dogs, frost, heat, moles, moss, pea maggots, rain, weeds. Since the start of the growing season a catalogue of hindrances has tried to come between me and my vegetables. 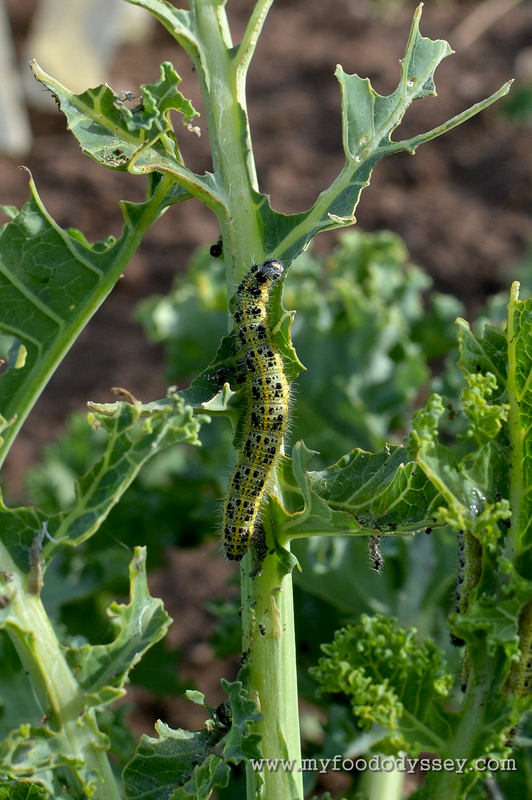 The latest to appear are caterpillars on my brassicas – my beautiful cabbages, cauliflower, broccoli, kale and Brussels sprouts. The white cabbages and the sprout leaves were the worst affected, while the curly kale and the dark green savoy cabbage got off quite lightly. I am picking the creepy looking blighters off as I find them and getting them as far away from my cabbages as possible. While a few leaves have been totally destroyed, I think I may have stepped in just in time to save the crop. I’m getting pretty tired now – hopefully that’s the last thwarter of the season! Just..no, no, no. I had a spate of Japanese Beetles earlier this summer. We managed to net ours this year but in the past, once you pick off all the caterpillars in time, the plants should recover. Just a tireless job that can make you slightly squeamish if there are too many! Thanks Dee. I’m too late for netting this year but I definitely think I’ll do that next year. In the meantime it’s pick, pick, pick! Thankfully I’m not squeamish. I’ve even found myself wondering whether or not they’re edible! def not edible. if I remember correctly, even chicken would not touch them. netting is a good advise, or there’s also a traditional way to scare of butterflies which produce those caterpillars off in putting white egg shells on sticks or even white plastic forks all around the cabbage.Supposedly that thwarts the real butterflies off as cabbage thus appears to be already occupied by other ‘butterflies’. Thanks Asta. I hadn’t heard that tip about the eggshells. I have plenty of those, so I’ll give that a try. I also recommend neem oil. Here they sell a lot of sprays with neem already diluted in them. I personally haven’t had much luck with those. I buy the pure, undiluted neem oil and mix it with water and a little dish soap as an emulsifier. It isn’t sold around here where we live, so I have to order it online. I get it from Amazon.com. Are you able to shop amazon where you are? I just found an organic one on Amazon in the UK (I can’t order liquids from the US), so I’ve ordered a litre. 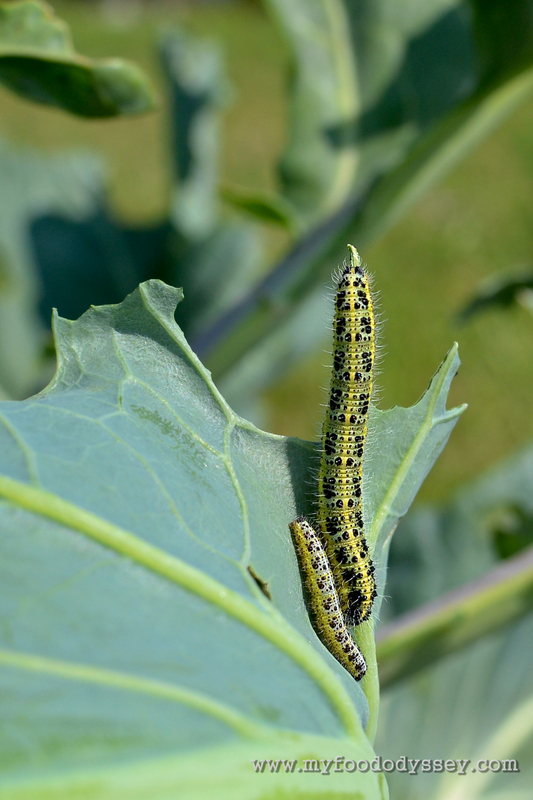 I hope it arrives soon – those caterpillars are getting nice and fat on my beautiful cabbages! Thanks Susan. I have some castile soap so I’ll try that. I’ll keep you posted on my neem hunt! The neem oil needs to be sprayed after the bees finish working for the day, its toxic to the bees while wet but its safe next morning once dry, I hope you sprayed at night. The same with sulfur mixture. Susan, I found neem oil online in a few places in LT, one of which is in Kaunas. (See here: http://www.ajurvedavisiems.lt/index.php?action=produktai&id=279) However, it seems a bit pricey so I looked on Amazon.co.uk. I found a litre of organic oil for £15. I’ve just ordered one – hopefully that will keep me going for a while! Derived from the Neem seed, Neem oil is an excellent all purpose insecticide, miticide, fungicide for organic gardening, it can be used on virtually any plant, including roses, flowers, vegetables, herbs, spices, houseplants, trees, turf and shrubs. Kills all stages of insects – eggs, larvae and adults. Makes a great dormant spray. Sounds awesome – I definitely have to find me some of that. Thanks Rima. We’re strictly organic and pesticide-free here on our little homestead – we use natural remedies only. 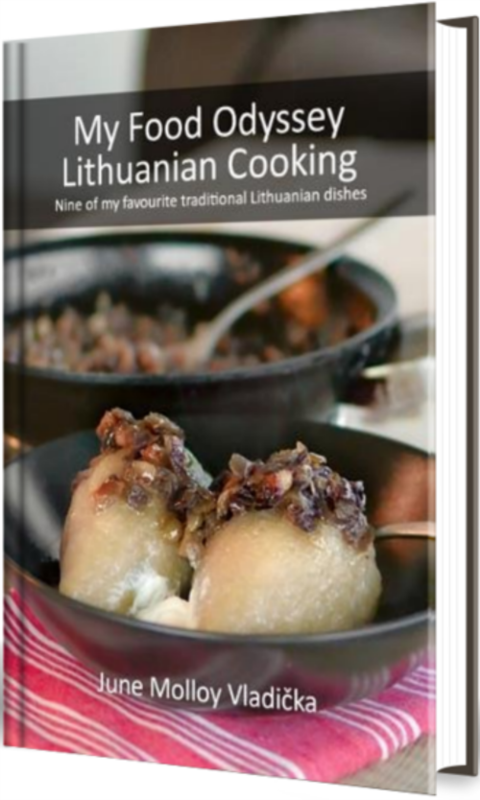 I’ve heard a few people talk about neem oil but wasn’t sure I could get it here in Lithuania. I’ll ask in one of the bigger garden centres. Is it useful for all bugs? Do you know does it work on ants? Up until about a week ago I was doing ok with bugs – my main bug problem was with ants. Then the caterpillars arrived! Someone else mentioned ash, which I guess would be a source of sulphur. I’m off out to raid my šašlykinė (bbq) for some ash before these little critters eat all my cabbages! Actually that’s what I did- a little bit of neem oil and some Dr. Bronner’s castille soap. It seems to have worked. But in my reading I was surprised to learn that the use of Bacillus Thuringiensis is considered “organic” pesticide. I’m not sure I’m comfortable with that- blows holes in the worm gut. What about my gut? Any feedback would be appreciated. Thanks, Rima. Great info. I think I’ll be much more assertive with my neem oil next season. Did you get neem oil here, Susan? Where did you find it and what’s it called? Thanks a mil! Rima, what do you mix in the sprayer with the neem oil? Is it just some liquid soap or does it need something else, too? Thanks – I’m getting lots of great tips here! Ugh. I’ve been dealing with them too. Came right after the heat wave. I find my chickens love them. It’s tough not to resort to the pesticides, though. I lost about half my cabbage but the kale still looks edible, although holey. Keep the faith, girl. It’s almost harvest time!